Associations exist to add value and relevance to the lives and businesses of their members in a variety of ways. One of the most effective means of doing this is through a tailored benefits program that will help members grow professionally and run their business more successfully. Of course, that’s easier said than done. Developing and maintaining a meaningful benefits package can take a considerable amount of time – and that’s time your staff could put to better use in the day-to-day running of your association. That’s where we can help. Access1st has a range of quality products and services at discounted rates that are ready and waiting for you to offer your members. Access1st helps associations connect with, attract and retain members. For your members it provides tangible professional benefits as a value-add to their membership fee. We help you help them. That’s a win-win for everyone. Better yet, Access1st comes at no cost to associations. Once your association joins our network your members can unlock their tailored benefits immediately. And the credit’s all yours. 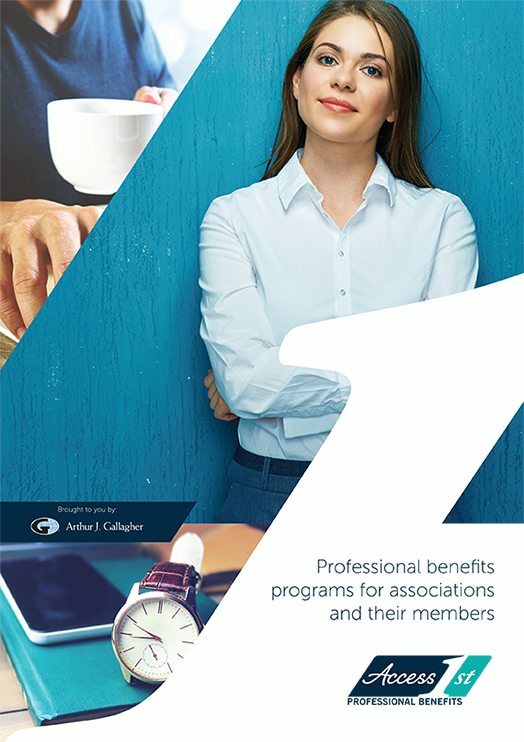 Beyond our benefits program for your members, we’ve established a network of expert service providers for associations themselves. These companies have been hand-picked to offer strength and support when you need it, helping associations operate effectively, communicate better and increase their member engagement.